The heart of downtown Toronto is the Entertainment District, offering the best in theatre, sports, dining, attractions and nightspots, and the Financial District, home to many major banks and corporations. InterContinental Toronto Centre places you steps from both. The hotel is located on Front Street, and is connected to the Metro Toronto Convention Centre. 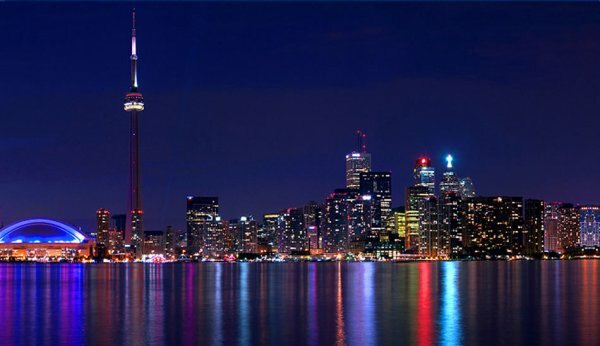 The hotel is also just moments away from the CN Tower, Rogers Centre (SkyDome) Air Canada Centre and Union Station. An ideal location, central to everything! A luxury landmark for Toronto, a masterpiece of modernism designed to fulfil every need of the discerning traveller. 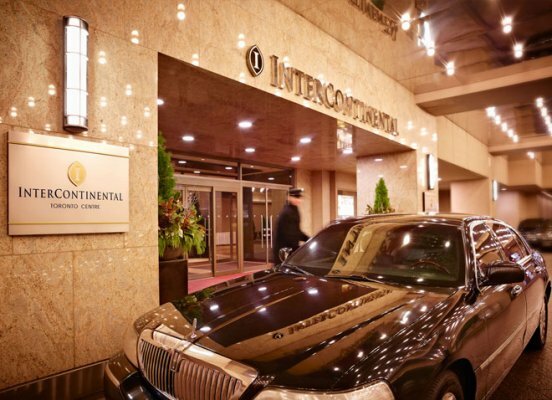 InterContinental Toronto Centre brings together ideal location, luxury accommodations, state-of-the-art technology, meeting facilities and the very best in customer service. 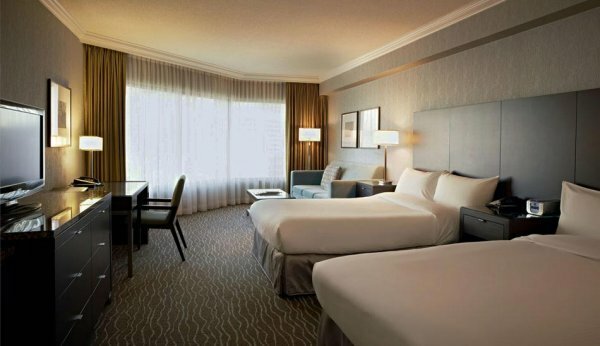 The 586 spacious guestrooms of the InterContinental Toronto Centre are exquisitely furnished and marry luxury with comfort, while offering stunning views of either Lake Ontario or Toronto’s bustling downtown. All rooms feature a host of amenities including high-speed internet and wireless access, and extra-large work spaces. Club InterContinental offers the boutique feel of a ‘hotel within a hotel’, and provides guests with exclusive executive services. The hotel also offers a variety of suites to meet every need. Outstanding facilities, an ideal location and extraordinary service make InterContinental Toronto Centre the perfect choice for any meeting or conference planner. The hotel offers the best in state-of-the-art facilities in a comfortable, user-friendly environment. Two spectacular Next Generation Boardrooms anchor the hotel’s 19 meeting and function rooms and feature every technological option to make your meeting a success. Open daily for Breakfast, Lunch and Dinner, Azure Restaurant and Bar creates a warm, comfortable atmosphere, with a delightful combination of visual elegance, delectable cuisine, fine wines and cocktails. Two elegantly furnished Private Dining Rooms are also available for confidential get togethers, cocktail receptions or wedding parties. 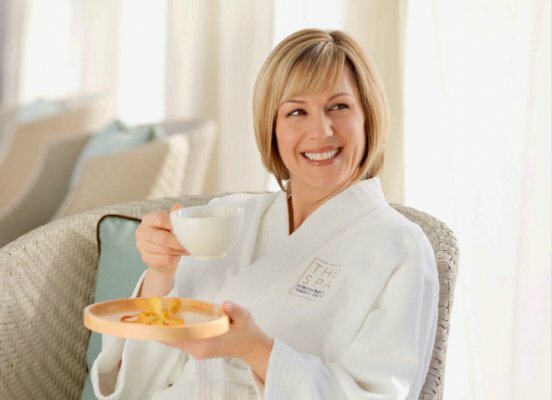 Relax and unwind with an array of health and fitness luxuries. The SPA InterContinental, located on the 3rd floor of the hotel, features 12 treatment rooms for aesthetics and massage, a whirlpool and saunas. Victoria Spa is an oasis of relaxation. 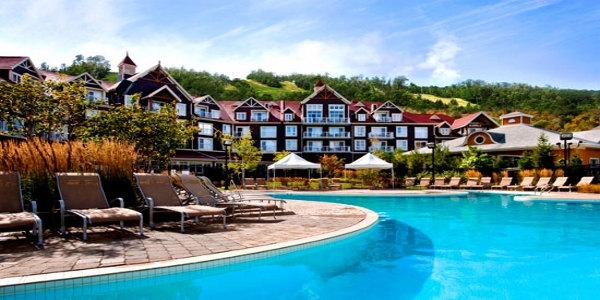 Or, enjoy our indoor heated pool located in the Spa, or our 24 hour Fitness Centre. The SPA InterContinental- luxurious, full-service spa located in the hotel, featuring 12 treatment rooms, spa pool, whirlpool and saunas. Keep up your workout routine when you stay at the InterContinental Toronto Centre. Our 24-hour fitness centre lets you stay energized with state-of-the art cardiovascular and weight training equipment. Enjoy a morning workout in our beautiful indoor swimming pool, or soothe tired muscles in the hot tub. Access to the fitness club is free to all guests staying at the InterContinental Toronto Centre. Please note, as the hotel swimming pool is located within The Spa, we ask that patrons respect the tranquillity of the area and refrain from any boisterous activities while in the swimming pool. Lifeguards are not on duty and therefore children must be accompanied by an adult. 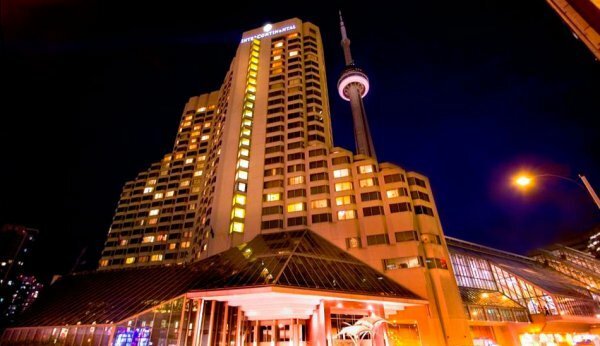 The InterContinental Toronto Centre is a luxury hotel featuring 25 floors of 586 exquisitely designed guest rooms and suites. Each of our spacious accommodations offer breathtaking views of either Lake Ontario, bustling downtown Toronto or the beautiful city skyline. Business and leisure travelers will appreciate deluxe amenities, modern furnishings and contemporary décor with touches of bold accents. Discover the height of modern luxury and sophistication and an unforgettable stay in one of the following well-appointed guest rooms and suites. Enjoy a stay in our well-designed and contemporary Deluxe guest room, offering spectacular city and lake views located on floors 11 to 17. 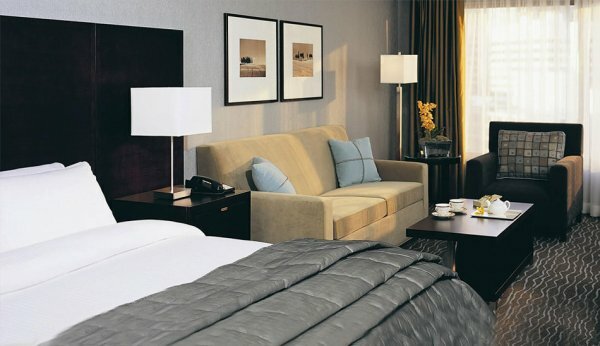 Exceptional one king, one queen or two double beds with luxury linens ensure the perfect night’s sleep. All Deluxe guest rooms are conveniently outfitted with a 42 ” flat screen TV, Keurig coffee maker, and ergonomic work area that makes it easy to get the job done. Deluxe Guest Room Featured Amenities -Rooms offer the SonyIhome clock systems, plush terrycloth bathrobe, in room safes, contemporaryfurnishings and spacious living and bathroom area. 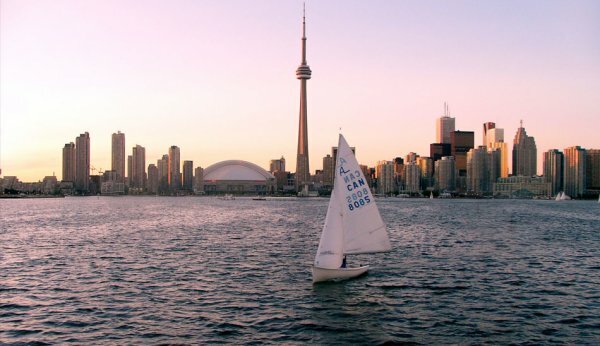 Unwind in your spacious Superior guestroom surrounded by the breathtaking beauty of the colorful downtown Toronto skyline and lake, while enjoying your InterContinental service. Choose from one king, one queen or two double beds and relax between the luxury duvet and linens. The well appointed and bright guestrooms are located between floors three to seven and offer 42 ” HDTV, Keurig coffee machines, Sony Ihome stations, an ergonomic work area and inroom safe. Superior Guest Room Featured Amenities -Rooms offer Sony Ihome clock system,, plush terrycloth bathrobe, in room safe, and large bathroom. Whether you’re in town for a corporate conference or leisure sightseeing getaway, the InterContinental Toronto Centre offers a host of Specialty Suites to satisfy any particular travel need. Discover a variety of well-appreciated luxuries and conveniences in the heart of downtown Toronto. Regardless of the suite you choose, you are sure to appreciate chic furnishings and unforgettable views of the city and Toronto skyline. Located on the third floor, our multi-level Executive Suites feature an ergonomic work area and dining/conference table for up to four. Enjoy a spectacular spiral staircase that leads upstairs to the loft and full bathroom. The loft area features either one king or one queen bed with luxury bedding. There is a half bathroom in the downstairs parlour. 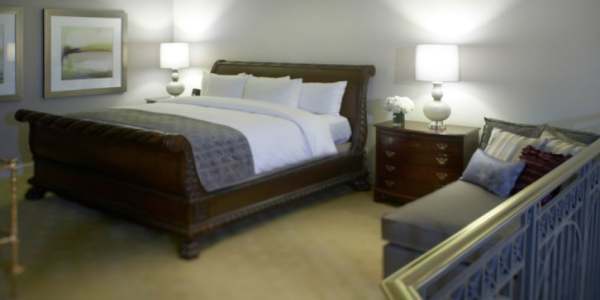 Select Executive Suites connect to a second bedroom that features two beds in the room (additional charges apply). 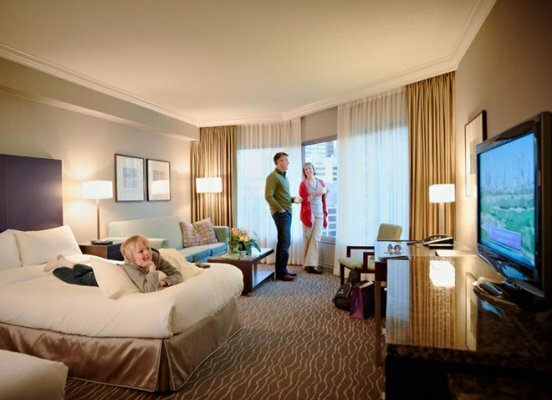 The 29 spacious Junior Suites at the InterContinental Toronto Centre are located between the 15th and 25th floor. Suites include an ultra-soft king or queen bed, plus a separate sitting area with a cozy couch, chairs and an incredible wrap around view of Toronto or Lake Ontario. Well-appointed suites are suitable for business travelers looking for a larger room. 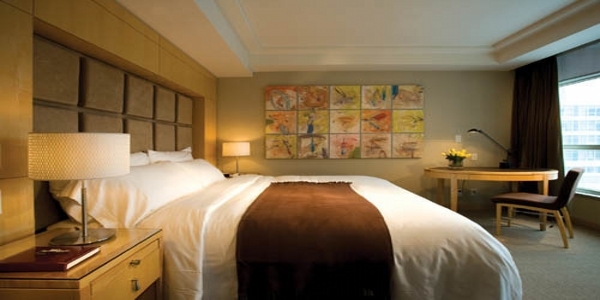 Choose one private room with one ultra-cozy king bed, or a second bedroom with two double beds. Hospitality parlours/suites are ideal for small group meetings or for entertaining guests. Enjoy access to a large ergonomic desk area streamlined to fit any lifestyle, sleek 42 ” flat screen HDTVs and an upgraded amenities package that creates an unforgettable hotel stay. Select One or Two Bedroom Suites include a wet bar. All suites feature Murphy beds. Step through the elegant French doors and discover well-designed perfection. The Royal Suite is a large studio room featuring a plush king size bed with a pull out sofa bed, luxury duvet and linens, and spectacular views of the Toronto skyline and lake. Sip on a specialty beverage from the wet bar, or unwind in the living and dining room area, perfect for hosting 8 to 10 people. The exquisitely furnished apartment style Presidential Suite is the place for rest, relaxation and ultimate comfort. Enjoy a king bedded master bedroom with luxurious duvet and linens. Guests appreciate use of a spacious kitchen, cozy library and living room area. The Presidential Suite is outfitted with three oversized bathrooms featuring a soothing Jacuzzi tub in the master bath. In the private terrace, spectacular city views are sure to take your breath away. Located on the 8th, 9th and 10th floors, Club InterContinental is designed for those guests who seek privacy, exclusivity and a place to get away from it all. As a valued guest of Club InterContinental, discover a full-range of services and amenities that make for no-frills travels. From contemporary guest rooms to an exceptional lounge and library, to the impeccable service of our hospitable staff, Club InterContinental offers the very best in hotel accommodations to the discerning Toronto traveller. Each luxury guest room is exquisitely decorated with stylish furniture offset by light walls and accented by shades of mustard and rust. The breathtaking view of Toronto from the floor-to-ceiling windows may be appreciated from plush window seats and pillows, or an ottoman and comfortable chair. The large, oval work desk built on wheels for added convenience is the ultimate in contemporary styling. 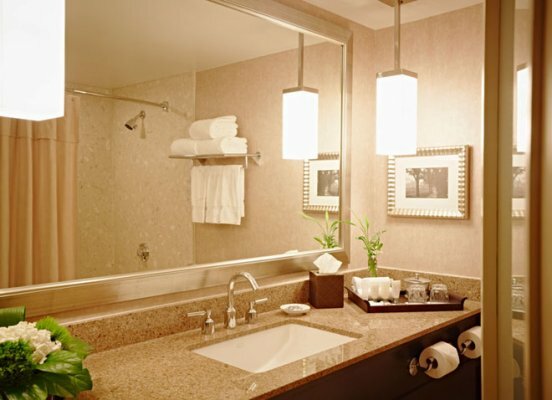 Enjoy an extra-large shower, plush terry robe and boutique toiletries in the oversized bathroom. 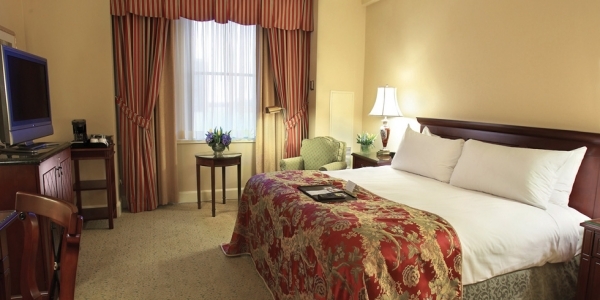 Club Guestrooms offer 42 ” flatscreen HDTV’s, top quality linen and a laptop size safe. Club InterContinental guests will experience more than just a stay. Business minded services include complimentary wired or wireless high-speed internet access, a state-of-the-art Bose sound system or a 42 ” flat screen HDTV with DVD player. The minibar is stocked with superior Canadian Pinot Noirs and Chardonnays. The spacious Club Lounge, located on the 8th floor, features comfortable seating and tables that gaze out at spectacular Lake Ontario, downtown Toronto and the CN Tower. Discover an enhanced continental breakfast, afternoon tea, or a specialty cocktail or glass of wine, while savouring tantalizing hors d’oeuvres. A large plasma TV and DVD player are also available. The adjacent Club Library is a luxurious, upscale retreat. Sink into one of the plush, upholstered chairs and browse through a selection of books, magazines and newspapers from around the globe. Guests may also use a large-screen computer with high-speed wireless internet access, or listen to some CDs on the hotel’s Bose sound system. Club InterContinental’s private 8th floor boardroom lets you get the job done. This ultra modern meeting and conference area easily seats 8, and offers privacy and idea-inspiring views of downtown Toronto. The Club provides morning limousine service (drop off only) from 7:00 a.m. to 12:00 p.m., Monday to Friday within a five kilometres radius of the hotel. Getting to and from the Metro Toronto Conference Centre, corporate offices and local businesses is a breeze. As night falls, the floor-to-ceiling glass in Azure Restaurant and Bar creates a serene canopy of stars and Toronto city lights. Below, in the softly lit room, the gaze is drawn to the blue hues of Stuart Reid’s stunning glass artwork, Liquid Veil, which seems to float above the modern central bar and its impressive display of imported wines. White-clothed dining tables are dotted with subtle hints of the restaurant’s signature colour – the deep blue of water glasses reflecting in soft candlelight. The effect is one of peerless elegance and warmth. 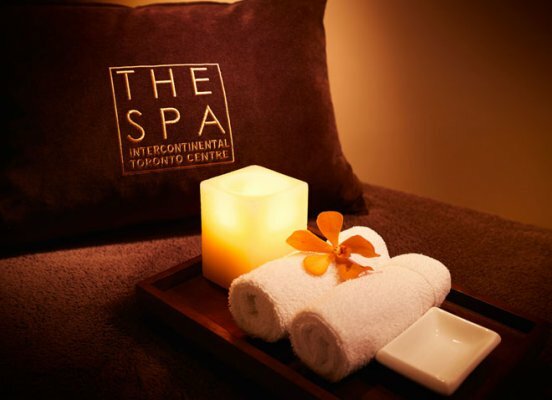 But at Azure, located at the InterContinental Toronto Centre, what pleases the eye and soothes the soul is only part of the entire sensory experience. What comes next are the best culinary creations conceived in our Executive Chef’s gourmet kitchen, designed to tantalize and temp the palate. Join us for dinner in Azure nightly from 5:00 p.m. to 10:00 p.m. Whether it is from our pre-theatre menu, multi-course seasonal tasting menu or Chef’s thoughtfully composed à la carte menu, friendly professionals will serve your delicious gourmet selection in an elegant setting. Call today for your reservation at +1 416 597 8142. Azure Restaurant is open daily from 6:30 a.m. to 10:00 p.m. for breakfast, lunch and dinner. Room service is also available 24 hours daily. If a private dinner meeting is more what you are looking for, enquire about our private dining rooms, which can accommodate up to 50 people for a sit-down dinner. Set menus are available. As the sun goes down, the Azure Lounge at the InterContinental Toronto Centre offers a sophistication and warmth in the back-lit grandeur of Stuart Reid’s Liquid Veil. Listen to smooth sounds of jazz in the background as you sip on a signature martini, sample one of 30 wines by the glass, or enjoy sumptuous snack or bite to eat. Azure’s contemporary cuisine carries through in the bar and lounge with a delicious offering of entrées and appetizers that are perfect for sharing. Live Jazz at Azure Bar is Thursday, Friday and Saturday from 5:30 p.m. to 10:30 p.m. Depending on the choice of configuration, each room can easily accommodate everything from intimate dinners to mid-size cocktail parties to various-sized standing receptions. All functions are catered with exceptional service and Azure’s signature food and wine. 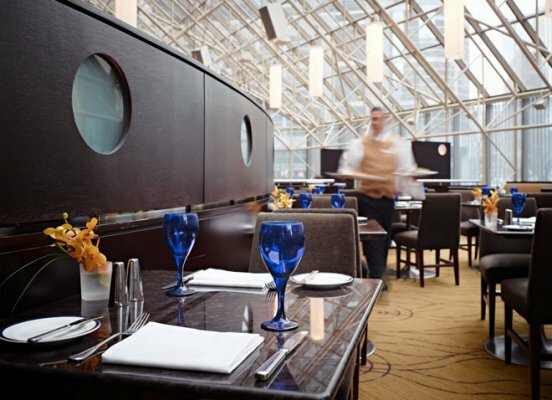 At Azure Restaurant and Bar we take pride in offering you contemporary Canadian cuisine that is wholesome and innovative, combined with professional service that is always friendly and efficient. Our aim is to give you a truly memorable dining experience each and every time you visit Toronto.